A scanned picture taken with my 1964 World's Fair Camera in August 1967. Originally B&W I added a little color to help make the bridge standout. I recently posted about pictures capturing a moment in time that help you remember events in your life. A week later I was looking at 35mm slides that I had not seen for 30 years. Amazingly I was looking at pictures that I simply did not remember taking. Forgotten memories, I guess out of sight, out of mind! I remembered the 1977 camping trip to Knowlton Covered Bridge Park in Monroe County, but had forgotten how many people had come along to enjoy the outing with me. My dad was born in Rinard Mills, Ohio and he had told me stories about fishing off the bridge, and how high the flood waters came when he was just a boy (probably 1938). We started camping there in the mid 60's. If you search the internet you will find lots of more recent pictures of the bridge, but mine are from the 60s & 70s (before the bridge was restored). I can also say that I drove across the bridge over the Little Muskingum River, which hasn't been possible for a long, long time. I am in the process of digitally capturing the slides and will post them here, and on my photo site when they are complete. 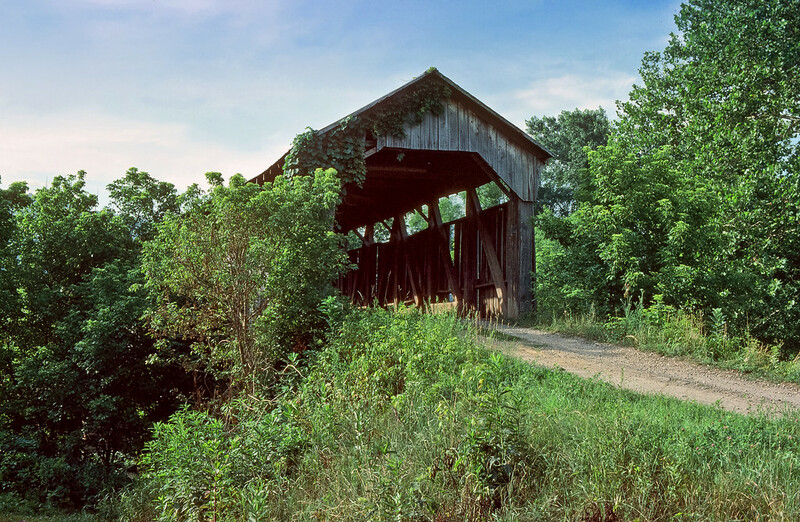 The bridge is 192 feet in length and is the second longest covered bridge in Ohio. It is located just off SR 26 north of Rinard Mills, Ohio. You can follow this link to see more recent photographs of the Knowlton Covered Bridge.